Use your gift of hospitality to make our weekend attendees feel welcome. The media ministry oversees the sound and video needs for the church. Along with providing sound and lighting for all services and special performances, we also provide the audio and video for the webcast each week and assist with set-up/tear down for the services. The media ministry also supports many outreach events including the Festivals of Life. If you are interested in being involved as a volunteer, please send us a message below! We are currently looking for volunteers to help during Sunday morning services to help operate screen lyrics, cameras, and to help with setup and teardown. We will train anyone willing to learn! If you are interested please send us a message! There is always a need for help in Kid’s Church! Whatever your gifts are we’ll help you find the best way to serve. We are currently looking for loving and caring individuals to come alongside the Kid’s Church teaching team. Experience is not required, as training and encouragement is provided by the leadership team. The focus of Kid’s Church is to share the love of Jesus Christ and to build relationships with our teachers, parents, and children. All volunteers in Kid’s Church have a comprehensive application on file. Also, every volunteer has had a background check and has a registered fingerprint on file. We are currently looking for volunteers in all areas! • And any other special gifts you may have! If you feel a calling to join us in any of these areas, we would love to hear from you! Youth leaders are always in need! If you’re interested serving as a youth leader, please download, print, and fill out the application below.  Completed applications can be turned into Pastoral care or directly to either the High School or Jr. High pastor. Serve the body through your gift of music! In 1 Corinthians 12, Paul gives us a wonderful analogy for the Church as a body. Each person within the body has been given gifts and talents and we are privileged to use those for the glory of God and the edification of others. In the worship/praise team ministry, it is our desire that the teams be built by members of our church. This gives the members of our church the opportunity to use their gifts and talents to glorify God and edify His people. If you are a member of Horizon Christian Fellowship and you feel that you are able to commit to being on a praise team, you will find a worship team application PDF below for you to print, fill out, and return to the Pastoral Care office (copies are also available in the office). Once we have received your application packet we will contact you to come in and have a one-on-one interview with our worship pastor, Adam Dobbs, where you will also have an opportunity to play and/or sing for him. After that, he will contact you if/when a position is available.